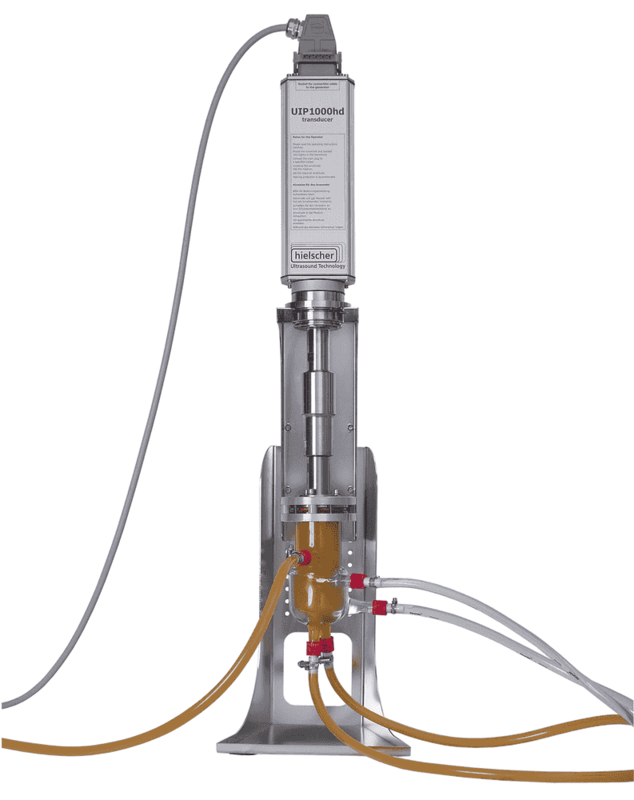 Ultrasound is well known for its extraction capacity. The ultrasonically assisted extraction of active compounds, flavours and spices from plant material is a very successful application as ultrasonically generated cavitation disruptes plant cells and enhances mass transfer so that the intra-cellular material becomes available. Thereby, a more efficient extraction and higher yields are achieved. Saffron (Crocus sativus), known as most expensive spice on the world market and distinguished by its delicate flavour, bitter taste and attractive yellow colour, is basically cultivated in Iran, Spain, Greece, and India. Besides to its use as spice and as colour agent, saffron is also esteemed as medical plant and since short time, the crocus sativus is investigated as a new safe source of natural antioxidants for the food industry. For the high price of up to 14 Euros per gram, there are several reasons: first, between 100,000 and 200,000 crocus flowers are required to achieve 1 kilogram of saffron spice; second, the saffron blossom flowers just for two weeks in autumn; and third, the harvest is completely performed by manual labour. The saffron spice is obtained from the red stigma of the flower of saffron crocus. Every saffron plant bears three red stigma at the flower. These three stigma (the receptives tip of a carpel) and their styles are harvested to gain the saffron substances. After drying, these parts are used as a seasoning in cuisine or as colouring agent. The ultrasound-assisted extraction is a proven method for the extraction of intracellular material and functional and bioactive components. Ultrasonic radiation can be applied to saffron’s red stigma which contain more than 150 volatile aromatic substances as well as nonvolatile active compounds, such as the carotenoids lycopene, zeaxanthin, and various α- and β-carotenes. The intensive characteristic flavor of saffron results especially from three compounds: crocins, picrocrocin and safranal. Kadkhodaee and Hemmati-Kakhki present a study in that they have investigated the “Ultrasonic Extraction of Active Compounds from Saffron”. In this study, they have showed that ultrasonication increased the extraction yield significantly and reduced the processing time considerably. In fact, results by ultrasound extraction were conspicuously better than by traditional cold water extraction proposed by ISO. For their research, Kadkhodaee and Hemmati-Kakhki have used Hielscher’s ultrasonic device UP50H. 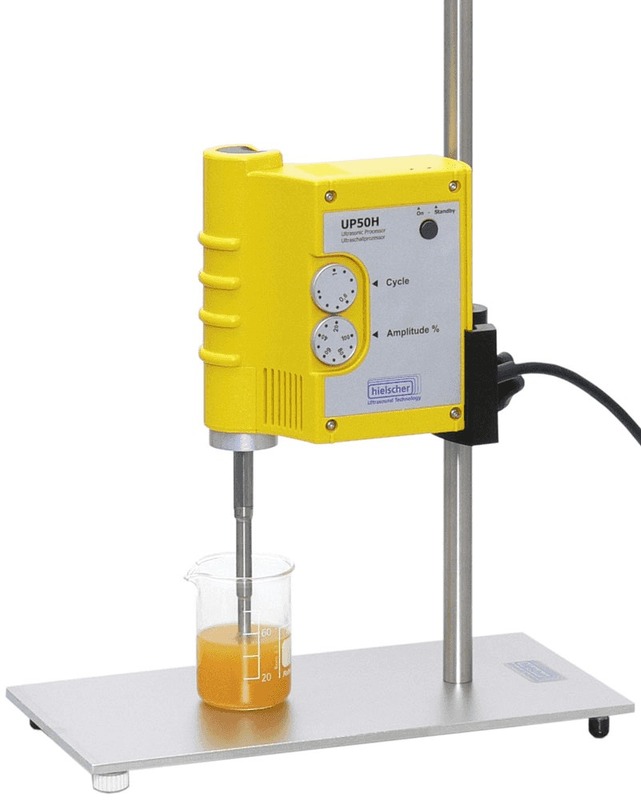 To investigate the advantage of ultrasonic irradiation, the same amount of saffron (0.25g sample) has been extracted by cold water extraction: One sample has been treated with the Hielscher ultrasonic processor; the other sample has been run the traditional cold water extraction process recommended by ISO. 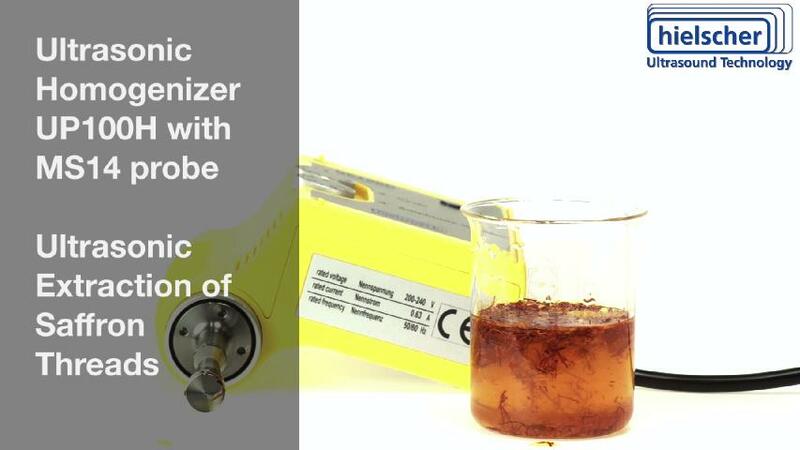 As above indicated, with the ultrasonic extraction method has been released a conspicuously higher yield of the saffron compounds. With an increasing sonication time an increased yield has been achieved, with an up to 15% enhancement for safranal towards the end of extraction time. Best results have been achieved with pulsed sonication. This means that short pulse intervals were more effective than a continuous ultrasonic treatment because in a pulsed ultrasonic field the time between two pulses acts as an intermission during that the small bubbles and the unstable cavities generated by bubble collapse, depending on their sizes, dissolve away or float out of the cavitation zone so that the initial conditions of the liquid are restored. (Kadkhodaee et al., 2007) As by ultrasound generated cavitation results in highly intense local conditions, ultrasonic processing provides better extraction results by efficient cell disruption and a more complete mass transfer from the inner parts of cells matrix. Also the recovery of phytochemicals and biopharmaceuticals from saffron is a promising application. The effectiveness of ultrasound-assisted extraction has been investigated for a long time and is well known. 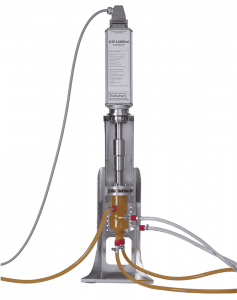 Hielscher’s ultrasonic equipment is already very successfully used for extraction of proteins, lipids, phenolic compounds, and enzymes. Kadkhodaee, R.; Hemmati-Kakhki, A. 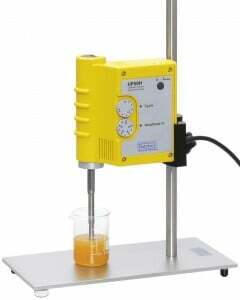 (2007): Ultrasonic Extraction of Active Compounds from Saffron. In: Koochecki, A. et al. (edit): II. International Symposium on Saffron Biology and Technology. ISHS, Iran 2007. Talk to us about your processing requirements. We will recommend the most suitable setup and processing parameters for your project.